When you use free animal costume patterns, you don't have to spend a fortune to have fun dressing as an animal. You can create your own animal outfit with the help of a free or low-cost pattern, some inexpensive materials, and a little time. From fish costumes to tiger costumes, there are as many animal costumes as there are creatures in the zoo. You can make an outfit to resemble your favorite pet or even a costume inspired by a cute bug. There are costume patterns for alligators, rabbits, deer, and wolves. When it comes to animal costumes, you can let your imagination run wild. Making your own animal costume is easy. There are costume patterns designed for various skill levels. If you're not a sewing expert, there's no need to despair. You'll find free animal costume patterns that are perfect for you! If you're interested in dressing up as an animal, you'll find plenty of tips and free patterns online. Although many of these costumes aren't patterns in the classic sense, they are easy to make and extremely creative. If you make your own costume, you know you won't see someone else in a similar outfit. What's more, all of these costume patterns, ideas, and instructions are totally free! This pattern from FamilyEducation provides easy instructions for making a turtle costume. The project requires some basic sewing and can be completed in a couple of hours. 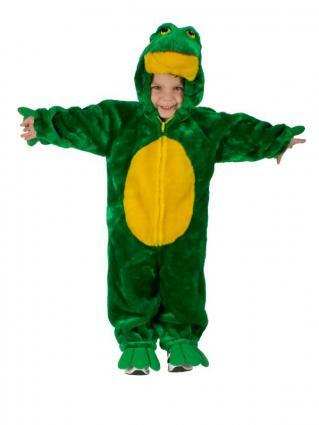 You can easily make a frog costume using this idea from KinderInfo. This outfit uses an existing baseball cap, which is modified to create the frog face. This super-fast squid costume idea from Instructables is a great solution to that last-minute costume panic. It's made mostly from things you already have around the house. 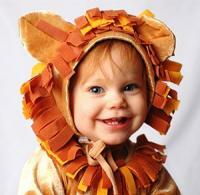 FleeceFarm has some great ideas for kids' animal costumes. Most use existing sweatshirts and leggings and embellish the outfit to create a fun animal costume. Another great source for animal costume instructions is FamilyCorner.com. Here, you'll find ideas for skunk costumes, spider costumes, dog costumes, and many other cute animal outfits. Shop for animal costume patterns just after Halloween. Most craft stores slash prices on Halloween patterns in November. If you shop then, you'll pay a fraction of the cost for the same high-quality, brand-name pattern. If you need to make several animal costumes, buy a pattern that can be modified. Many patterns include variations for several similar animals. If you use different materials and colors, the costumes will end up looking completely different. Using a single pattern for multiple costumes is a great way to save. Look for costume patterns online. You'll find great deals from online retailers, and since patterns are really light, shipping costs should be minimal. You can buy costume patterns directly from Simplicity, McCall's, and many other pattern manufacturers. Check out garage sales. People hate to throw out patterns, especially if the pattern is for something really fun. Use your weekends to scan through pattern bins at garage sales, and you might find a fabulous animal pattern at a great price. Whether you're planning to dress up as a camel or a crocodile, a bat or a baboon, there are plenty of reasons to make your own animal costume. Your costume will be unique. When you choose your own materials and pattern, your animal costume won't be identical to someone else's. You'll save money. Making your own costume is a lot less expensive than buying a new one. You'll see significant money savings, whether you use a free pattern or save on a discounted pattern. You'll have fun. Making your own costume is a fun, creative experience. You can make it as complicated or as easy as you like, and you can even involve the kids. Regardless of why you choose to make your own costume, you'll find inexpensive and free animal costume patterns that will help. All it takes is a couple of hours, a few simple materials, and some creativity. Soon you'll have an animal costume that will make you proud!